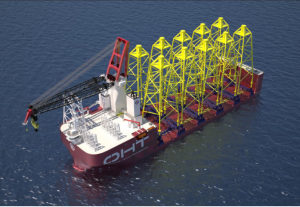 ALE has expanded its heavylifting services by establishing a non-disclosure agreement with the Port of Dundee and OM Heavy Lift to provide the full service of port operations for renewable energy sector. 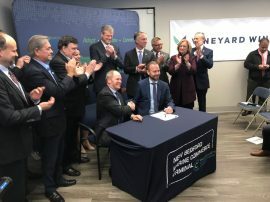 US offshore wind developer Vineyard Wind has signed an agreement to lease the New Bedford Marine Commerce Terminal for a period of 18 months. 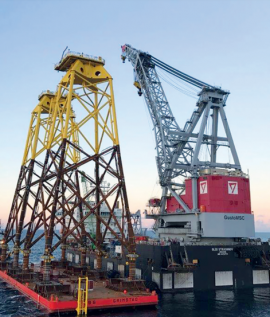 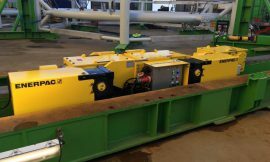 Heavy lift equipment specialist Enerpac has supplied GeoSea Geotechnical & Offshore Solutions with an integrated trolley system for loading transition pieces destined for the Hohe See and Albatros offshore wind farms onto a jack-up vessel. 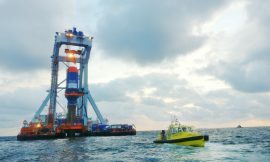 The Fistuca BLUE 25M hammer has completed its offshore test in the Netherlands as part of the Offshore Wind Accelerator BLUE PILOT project. 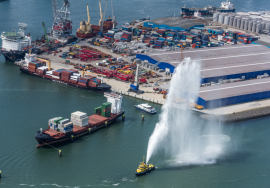 Van Oord’s installation vessel Aeolus has wrapped up sea trials off the North Holland coast, marking the completion of the modification campaign that commenced in 2017. 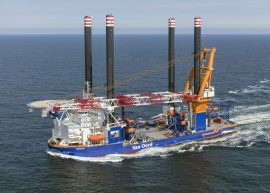 Now, the vessel is ready to start working on the Norther offshore wind farm. 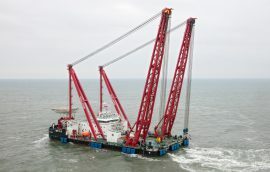 Royal IHC has handed over the fully self-propelled DP2 crane vessel Gulliver to Scaldis, a subsidiary of DEME, Jan de Nul and Herbosch-Kiere. 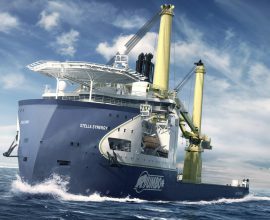 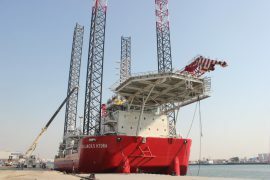 Jumbo has named its new DP2 Heavy Lift Crane Vessel (HLCV) Stella Synergy, after an internal naming competition launched last month. 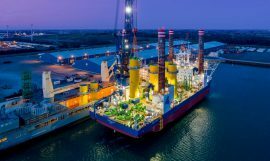 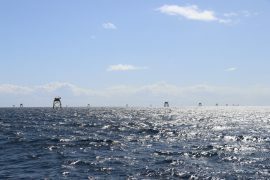 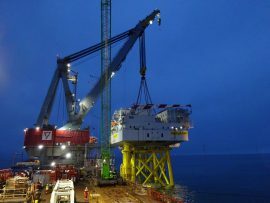 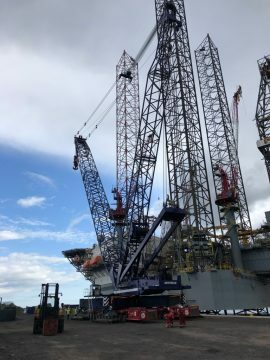 The jack-up vessel Seajacks Hydra will arrive on the Beatrice site this week and connect to OTM 1, the first of the two Siemens Offshore Transformer Modules that the wind farm will feature, to provide accommodation facilities during its commissioning. 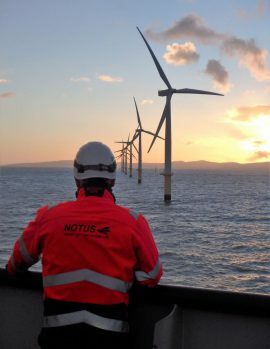 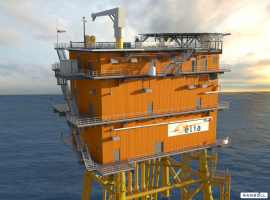 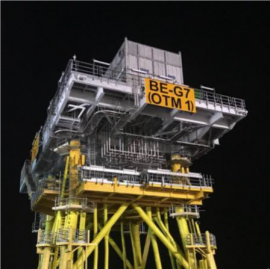 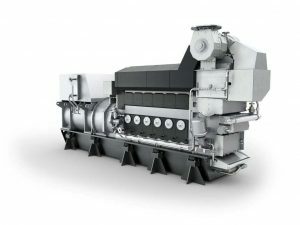 Siemens Transmission and Distribution is carrying out commissioning works on the recently installed Offshore Transformer Module (OTM) at the Beatrice offshore wind farm in preparation for the energisation of the system. 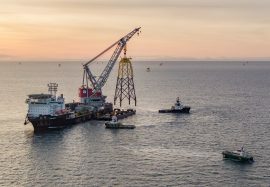 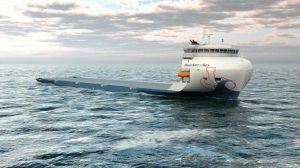 Boskalis’s new self-propelled DP2 crane vessel, the Bokalift 1, is currently preparing for the installation of foundations at the East Anglia ONE offshore wind farm in the UK, a spokesperson from the company confirmed to Offshore WIND. 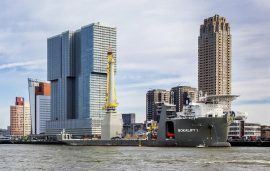 Boskalis commissioned its Bokalift 1 crane vessel on 24 February in Rotterdam, where the company celebrated the milestone together with its 3,500 employees and their families. 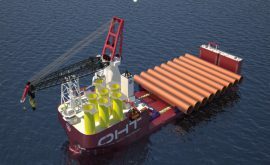 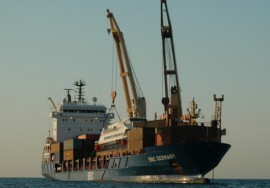 The vessel is purposed, among other things, for transporting and installing offshore wind turbine foundations. 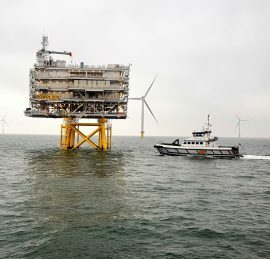 Our latest photo of the day shows Seacat Services’ crew transfer vessel (CTV) Seacat Volunteer picking up technicians from the substation at Ørsted’s 573MW Race Bank offshore wind farm located off the North Norfolk coast, UK.